The average novice in physical culture may entertain no definite ambitions regarding his future. Possibly he entertains no hopes of becoming world famous, either for shape or strength, and may even consider himself hopeless as an athletic candidate. Nevertheless, it would seem to us that even the least ambitious among beginners must secretly wonder at his possibilities of attaining a well-developed body with a degree of strength at least greater than the average man can claim. It is only natural for a man to feel some pride in his physical appearance and physical strength. We know from experience in corresponding and conversing with men in all walks of life the shame and feeling of inferiority which the minds of men. Though every attempt may be made to hide the true feeling from his associates, and a brave front may be maintained to cover up his realization of physical weakness, the man may be ashamed to appear on a bathing beach and qualms of sensitive backwardness may overtake him at the suggestion of disrobing in front of his fellows. Can it not be true that this mental attitude on the part of the majority of men really accounts for the great multitude who are unable to swim, and never make a serious attempt to learn? Who can deny that more men pride in attiring themselves in the latest stylish raiment, than appearing publicly in athletic attire? The great majority of men and youths "dress up" on holidays and week-ends with some feeling of personal pride; personal pride in the clothes they wear; but the same feeling of self satisfaction is missing even among the proportionately few who do appear on the bathing beach. Clothes of which the man may be proud can be purchased everywhere, for a certain sum. But, shapely muscles cannot be so easily acquired; there is also a price to be paid for a physique of perfection and the degree of health which is certain to accompany it; outside a small monetary consideration for competent instruction, the price consists of a certain number of hours spent in exertion. A man may be unwilling to sweat a little to acquire manly strength and a physique of which he need not feel ashamed, the majority of individuals will go to extremes to keep up appearances in clothes and personal attire so as to command the respect of their fellows. This is due to a false sense of values set up and maintained by society in general. To take pride in the appearance of one's clothes is commendable, but to place a higher value on tailored appearance than on the appearance of the human body is false and unnatural. Weakness and disease can only result when such comparative values are recognized by society. 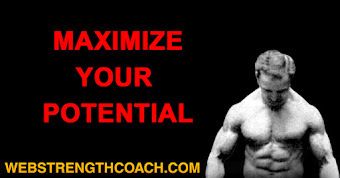 Every normal male has within him the possibilities of acquiring a perfectly proportioned, strong and healthy body. 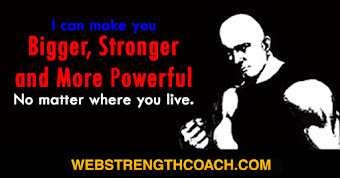 It must be realized than only a few men can acquire strength in the proportion possessed by world champions. 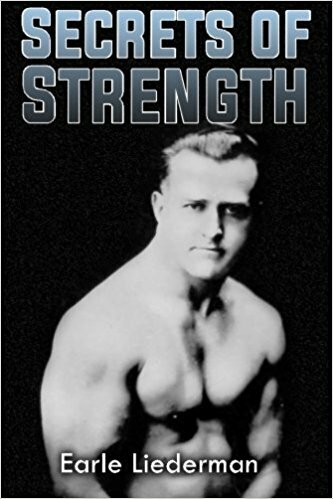 Still, considering the small percentage of men who take the trouble to train for and acquire exceptional strength and development, any normal man who makes a conscientious attempt at exercising regularly stands a splendid chance of being recognized as a member of the "perfect man" class and as strong man of exceptional ability. If the ambition is no higher than the possession of a finely developed physique and strength simply greater than that of the average man, then the attainment depends only on following certain well known principles, and is within the reach of even those who have some fault in their make up. Stop for a moment to consider the remarkable transformation in the cases of Joe Nordquist, and Alan P. Mead, who overcame the handicap of having only one good leg, or of Bill Raisch, with the burned arm which physicians declared beyond repair. These mane have attained a place of fame in the physical culture and theatrical world. Within this volume we also mention a few other outstanding cases of those who were seemingly hopeless, yet we have cases where men with congenital club foot acquired a degree of development and strength of which any normal man might be proud. We might say, if it were necessary to mention any general rule governing the chances of a given individual acquiring exceptional development and strength, that some few things may be observed as guides. The man with a larger than average bony framework has fine possibilities of developing unusual proportions. To determine if your bones are larger than average, refer to the tables given in another chapter, where the average girth, shoulder breadth, and so forth are given for American young men. The shoulder breadth is taken by measuring the width from the outside of one deltoid to the outside of the opposite deltoid, about two inches below the bony formation on the point of each shoulder. Do not take a tape measure and measure around the upper back, but calculate as accurately as possible the width of the shoulders; calipers would serve best as a means of measuring, but few would have access to calipers of sufficient size. The length of the arms measured from one finger tip to the other is important when computing the bony framework. Among the average run of men, the arm span is either equal to or slightly less than the height. The average short man will have an arm span closest to the height. The man with longer than average reach, we should say, has things in his favor as far as potential physique is concerned. The majority of men possessing exceptional development will be found in the long-armed class. And, as regards the development of strength in an extraordinary degree, the same is true, with the possible exception to this rule being in the colossal class. Men of extremely large frame, standing well above six feet, are not so apt to have arms of proportionately great length. The type of man to whom we refer as an exception is the class who generally develop into the ponderous type, weighing in excess of two hundred twenty-five. Some little misunderstanding exists concerning long arms and strength. Even some men who are recognized as authorities will state that extraordinary pressing ability should be possessed only be the short-armed man, and they will sometimes go so far as to say that the long armed man cannot become good at certain feats of strength. I remember just a few years ago writing to a man who is generally accepted as somewhat of an authority. It was directly after John Y. Smith, a sixty year old man weighing 154 pounds had alternately pressed a 100 lb. 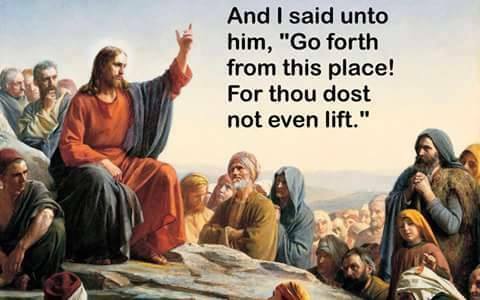 dumb bell in each hand three times. This man mentioned, in replying to my letter, that Smith must have short arms. The truth of the matter is, John Y., has arms of unusual length. Then just recently I noticed the assertion of some persons that Bill Lilly must have short arms to be so good at the Shoulder Bridge. Bill's correct height is five feet, five inches, and his reach is five feet, ix and a half inches, making no attempt to stretch; in fact, I believe he could add another inch to the arm span measurement by stretching a little. To show you how opinions are formed by one or possibly a few authorities and then adopted by the great body of enthusiasts; for in no other way would so many individuals have this mistaken impression; let me mention another case concerning the Two Arm Pull Over. Two of the best men of whom I know on this particular feat are of the unusually long-armed type. Both are shorter than the average in height, yet their arms are probably as long as the average tall man; one of these men stands about five feet, four inches, yet his reach is seventy inches, a difference of six inches. Yet, it is generally supposed that short men should excel on this feat. We are even unable to find any basis for the belief that only short-armed men excel at holding out, or muscling out, weights at arm's length. This false impression may have resulted from observing the apparently short arms of some of massive giants who excelled at holding out weights. As we previously mentioned, tall heavy men are not so apt to have long arms in proportion to their height. Then combined with the great girths of their arms and body, the arms may have seemed short. Among the strength athletes of my personal acquaintance, those who excel at muscling out weights have arms of greater than average length. 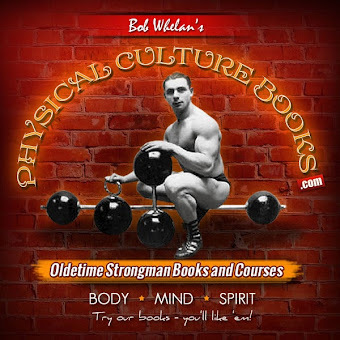 In another chapter I call attention to my conviction that long-armed men have better attachments for developing muscles, which results in corresponding strength. To arrive at a sensible idea of your potentialities in development, refer to the numerous photographs illustrating this volume; also not the comparative measurements of different athletes and models. You must observe whether your face and head is naturally long and narrow, or broad, and either round or square. Also note how your hands compare in size with other men; if your joints are large and heavy, you have a much better chance of acquiring exceptional development. Look for photographs of athletes of your own natural type. Be fair and candid with yourself, and don't expect to equal the proportions of a man of an entirely different bony framework. The wrist girth of an experienced strong man must be figured as somewhat larger than it would otherwise have been; anywhere from one-half to a whole inch; as continuous strenuous exertion will tend to thicken the tendons and ligaments of the wrist and to some extent separates the small bones composing the wrist. Another benefit claimed for regular physical exercise is a thickening of the periosteum covering of the bones and of the entire skeleton. It may prove both natural and interesting to discuss the type of measurements that would constitute possible human limits, and then to mention probable limitations in your own case. The flexed upper arm is so often used as a standard that we find it almost impossible to disassociate the biceps from physical proportions. Experience with physical culturists and strong men has taught us to have doubts in many instances when the upper arm girth is concerned; however, many figures are quite reliable. Supposing from force of habit, we start on the upper arm and from there on proceed through all the main muscular girths. 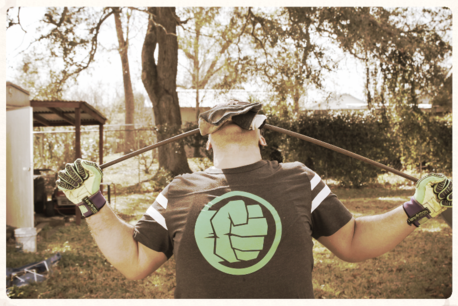 We are fairly certain of some strength athlete possessing arms of twenty to twenty-one inches. The latter figure was the greatest arm girth attained by the great French athlete, Apollon. He stood just under seventy-seven inches in height, so his arm was 27 1/4% of his height. Louis Cyr was credited with twenty-two inches, which, if true, would be about 30% of his height. Stanley Zbyszko is slightly shorter than Cyr, and his arm has been claimed to be twenty and twenty-one; around 30% of his height. Ivan Samokov would likewise have an arm of about the same proportion. A man of average height, sixty-eight inches, would have an arm of pretty near the same. A short man, standing only five feet, two inches in height, would have an arm of eighteen and a half inches. We are fairly safe in making the statement that no man of such short stature ever had such an arm. A sixteen inch arm would be truly massive on a man of that stature. Otto Arco claims to have had a seventeen inch arm at his best, and he stands about sixty-two inches. This would be about 27 l/2%, or in equal proportion to the arm of Apollon. The above represent human limitations of muscle. A man of average height with a seventeen inch arm has something far out of the ordinary, and it would be one-fourth, or 25% of his height. In the same proportion, the man of five feet, two would have an arm of 15 1/2, and the six footer would have an arm of 18. Some athletes have such arms, but they are quite rare. We might therefore conclude, so far as arms are concerned, that 25% represents an exceptional measurement among strong men, while 27 1/2 to 30% represents truly massive girths, possessed by few men in history. The biceps, neck and calf are very often supposed to measure equally on the ideal figure. In another chapter, we discuss the possibilities of this theory being sound. Actually, we may find the neck most often the largest of the three. We can safely conclude that the percentages stated for the arm may be used as a guide in computing neck girths. It will be far more probable that the 27 1/2% to 30% girths may be possessed by a greater number of athletes than for the same percentage to be developed on the arm. As for the calf, we find Apollon had a calf of 26 3/4%. The gigantic Louis Cyr had a calf of 39 1/2%, if a measurement of twenty-eight inches was true in his case. To be more practical, we find a percentage of 25% to represent a calf of exceptional size, very well developed, but not huge. Thighs in proportion would be between 35% and 40%. The chest is regarded as one of the most important parts of the human anatomy. The massive Louis Cyr, with a chest of about sixty inches, had an 84 1/2% chest. Apollon had a chest of about 67%. A man with a chest equaling 70% of his height can pride himself on having a most exceptional chest girth. All of the above proportionate percentages can only be equaled by men with great natural potentialities. Nor is it essential or desirable that he should. Though Tony Sansone will not divulge his true measurements, we can guess and calculate therefrom. The man of average frame might develop the proportions of the Sansone type, with the following percentages: Chest 60%; arm, neck and calf, 21 or 22%; thigh 32%. These percentages might represent a finely proportioned specimen of manhood, in a naturally slender fellow. Of course, for a short squat built fellow they would be far from satisfactory, but many tall men need nothing better, and yet acquire a perfect physique. Within the present volume you will observe men who, although short of stature, have been content to make the most of their natural height. That they have been successful in doing so is proven by a glance at their magnificent physiques. Those who are of average height, or taller, are often inclined to look upon the short man with a belittling attitude. Many men cannot conceive of the short man being possessed of an exceptional physique or great strength. Even among physical culturists, who should know better, there is often an inclination to discredit the achievements of the man who happens to be a few inches under accepted tables for standards of height. 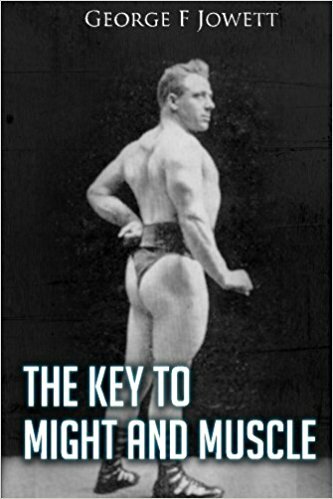 Should a short man be acclaimed the possessor of a marvelous physique, or honored as the most ideal in perfection of proportionate physical development, there are some who are unwilling to admit that a short man can be looked upon as an example of the highest attainable aims in a physical sense. Such an attitude is altogether unfair. 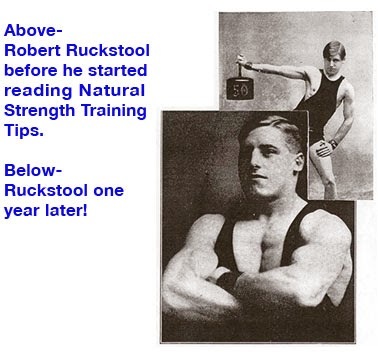 For instance, consider the physique of Mr. Otto Arco; marvelous is indeed a weak superlative to apply when referring to this athlete. Here is a man who has, for years, been acknowledged as possessed of ideal masculine muscular proportions. There is nothing left to be desired so far as his development is concerned. Every single muscle is under the immediate control of his will; his control is absolute. You are certain to be impressed at the perfection of his development. Some taller men might be apt to look down upon Otto Arco, were they to meet him in street attire. 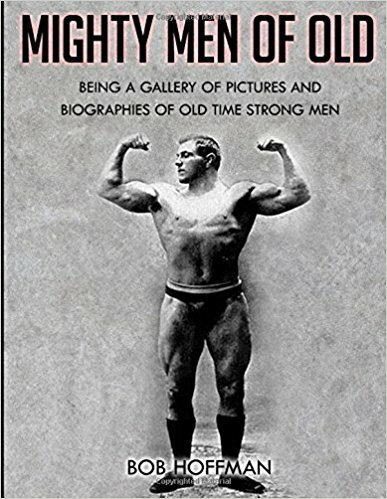 Before hastily adjudging him as lacking in physical abilities, it should be remembered that he been very successful in wrestling with heavyweights, even though weighing in the lightweight class, and it takes a real good big man to exceed his lifting records.